The Republic of Belarus is located in the central part of Eastern Europe. The location of the Republic of Belarus is very favorable from the point of view of the trade way transit what undoubtedly makes this country so interesting to deal with it in the sphere of business. Crossing Belarus by car foreign nationals should remember that toll roads have appeared in Belarus since 2015, in particular, electronic system of payment for using such roads is known as “BelToll”. Therefore, before the departure it is better to familiarize yourself with all the necessary information on the specialized websites. The country covers 207,595 square kilometers and borders on Russia, Ukraine, Poland, Lithuania and Latvia. Belarus is divided into 6 regions. These are Minsk, Brest, Vitebsk, Gomel, Grodno and Mogilev regions. Belarus has a temperate-continental climate with warm summers and cool winters. Thanks to moderate climatic conditions it is comfortable in winter. Average temperatures vary from -4 °C to -9 °C in winter and +20-25 °C in summer. Such temperature conditions are the reason for the development of meat and dairy production, agriculture. 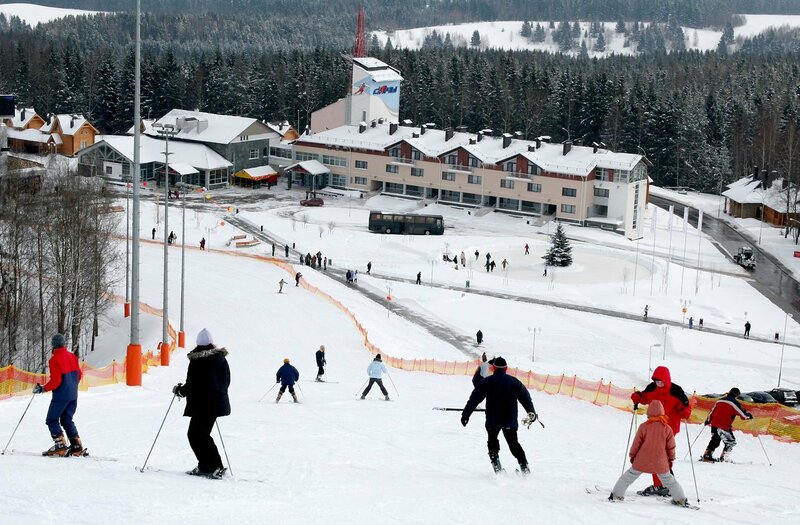 In winter such ski resorts as Silichi and Logoisk which are located within 30 km from Minsk, are in great demand. Some guests will be interested in visiting the residence of Father Frost in “Belavezhskaya Pushcha”. Quad and snowmobile biking through the woods and on the frozen lakes, the celebration of holidays and other winter entertainments are also widespread. Belarus is called “blue-eyed” and “lungs of Europe” because of the large number of lakes and forests. Foreigners often visit the country to have a rest in a huge national park called “Belavezhskaya Pushcha”. The national park is known for the rare woods located on the territory of the whole Europe. The trees with more than 400 and 1000 year old history grow here and distinct, endangered representatives of fauna live on its territory. Here you can meet the bisons, who are the animals, which are considered to be the distant relatives of the American buffalo. By the end of the 19th century, the number of bisons was almost completely exterminated. The last species from Europe remained only in our country. There were 90 species at that period. Thanks to the program oriented on bison survival now their population contains more than 10 000 species. Hunting for bisons is also allowed. The cost of permitting document varies from 1 thousand euros for the head (a bison cub) to 6-8 thousand euros (trophy species). However, it is necessary to be careful since a German hunter, who was hunting for boars, accidentally killed a bison in 2008. Accordingly, he had to compensate the park for the damage the amount of 70 000 euro. Such historical monuments as “Nesvizhsky” and “Mirsky” castles are located on the territory of Belarus and they are viewed as cultural heritage of UNESCO. The most developed infrastructure, which will not leave indifferent any guest, is located in these two places. However, keep in mind that these places are very popular in summer and one should plan a weekend beforehand.